Update your Yoast plugin (if you use it). Goes to prove that even the mighty Apple is run by humans and computers which are subject to “issues”. From Todd Cochrane, of Geek News Central and the CEO of RawVoice Inc.
“Hey bit of a heads up! I hope this is an isolated incident. Every podcaster should go over to YouTube and search for their show. It seems in at least one instance, someone went to the trouble and made a channel for a podcast, and then uploaded all the episodes. They used album art from the podcast and monetized the channel. The podcast host did not authorize this, nor does he have access to the YouTube account. This looks as if a bot did it. Please spot check and make sure there is not some rogue element out their doing this. Question: How did you post process the audio of you podcasting while driving and make it sound good? 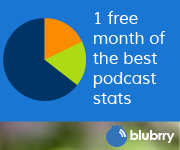 Thank you for your interest in podcasts. We are no longer supporting an active database of podcast feeds for Windows Phone 7, Windows Phone 8.0 or Zune. Please see the instructions below for enabling podcast discovery in Bing. Improve Bing-Enabled Podcast Search Results By using Webmaster Tools, you can tell Bing about your site. In return, Bing Webmaster Tools tells you how well your site is performing in Bing and Bing-powered search and keeps you up to date about issues we see on your site. 1. If you haven’t done so already, sign up with Bing Webmaster Tools. 2. 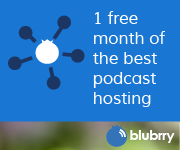 Add the site that hosts the Podcast RSS/feed and verify ownership of the site. 3. Use the Submit Sitemap tool and submit the full URL of the RSS feed containing the links to your podcasts. Q: Why does my iTunes listing look this way? This goes for Stitcher, Windows Podcast App (Still not sure what it’s called), Downcast or any other directory. The truth is, there isn’t a way to control how someone uses your RSS feed in their app. iTunes makes cookies, Stitcher makes bread (and we don’t even get to pick the kind of bread!) and the rest make whatever they want with your Flour. It’s your job to make sure all the sprinkles, seasonings and other things are in the flour, but what everyone bakes out of it, is up to them. That’s why I say use Powerpress with WordPress.